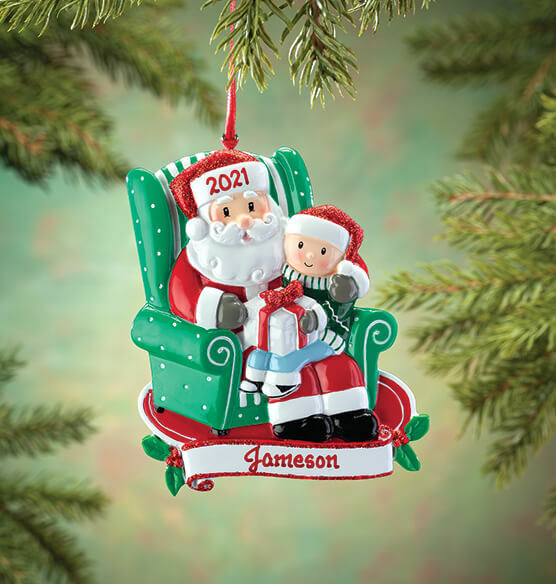 Personalized Santa and Child Ornament follows the time-honored holiday tradition of sitting on Santa's lap. This pair chat as they sit in the big guy's recliner. 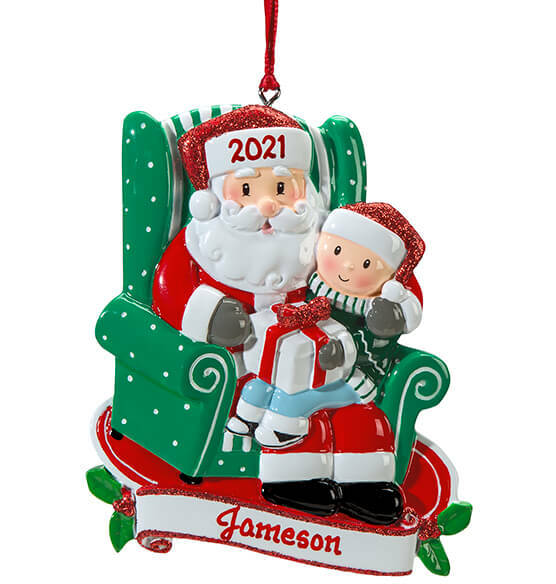 We'll personalize it with the year on Santa's hat and the child's name on a banner. Specify name. No Personalization , Personalized are not available at this time. Because this ornament is a great Christmas themed ornament! !